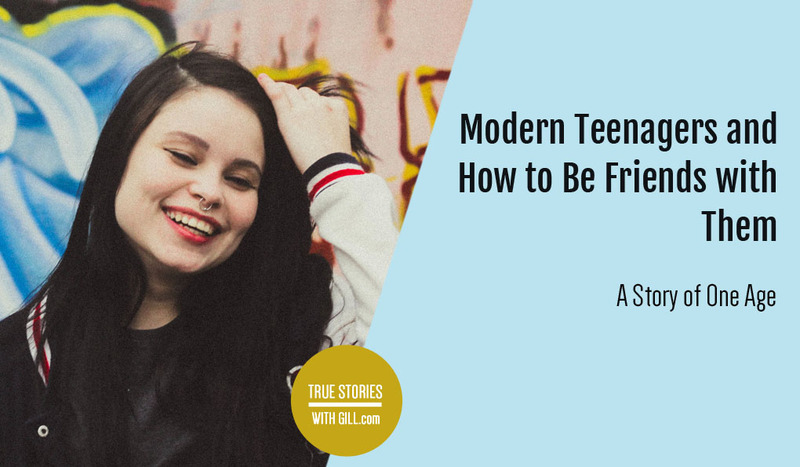 Modern Teenagers and How to Be Friends with Them. Are modern teenagers as bad as the cliché? What do they find annoying in adult behavior? How to maintain good relationship with your teen? An interview with a teenager Hannah J. Are you a teenager? Worse, do you have a teenager living in your house? My sympathy! Good news: I hear it will pass. Bad news: I also hear when it passes, you might not recognize your precious baby in that distant and suddenly strange to you person. My precious baby is barely 5 months old, but I’m already terrified of the teenager phase. Will he become an uncontrollable monster who hates hugs and talks back to me? Will he spend all his time in his room slamming the door behind him the moment he comes home from school? Will he get into trouble with alcohol and drugs? Are we facing a generation of grandmas with tattoos who have no idea how to bake? I wanted to know. So the best thing I could think of was to talk to somebody who has access to the insider information. Meet Hannah C J, a high-school student. Hannah is not a fan of tattoos and knows how to bake cookies. She is also addicted… to books. Both: reading and writing. In her young age, Hannah already has a plan laid out: she wants to become an editor who writes for pleasure. To prove to herself that she is dedicated enough, she already wrote one novel and is planning to start another one soon. I know even if I told you that she is obsessed with Chihuahuas and has named her hamster after a minion it still doesn’t sound like she is a typical teenager. Especially if you consider that Hannah has a great relationship with her parents. But this is exactly why I decided to talk to her: I’d like to know her secret for this high maturity level in such a young age. I also rely on Hannah’s observational skills to provide some insights on “do’s and don’ts” when it comes to how parents treat their teen. In an ideal world, I’d have loved a step-by-step instruction on how not to screw it up. Bad news: that didn’t happen. Good news: I think we got pretty close. Gill: I think we’ve already established the fact that you are not a typical teenager. But you do have some insider information on this. So how do typical teenagers look like? Hannah: Let’s see. If not outside, we’re probably motionless, eyes glazed over, in front of a computer, finger still scrolling steadily, even though the brain fell asleep long ago. We do go outside, though! Usually in groups of 2-5. Wandering the shops. Shrieking at concerts. All that jazz. A typical teenager can be found sitting at a bus stop looking depressed, because they can’t drive yet, most likely staring glumly into their phones. Occasionally, you might get lucky and spot one of us sending selfies. That would explain the obscene faces you may have pretended not to notice. Gill: I hear you are not on Facebook (one more argument to support the “not typical teenager” claim). Why is that? Hannah: The long rambly answer: I don’t really feel I need to be. I love Google Plus despite the criticism it receives for being the underdog. That’s precisely why I like it: there are fewer people, so we don’t have the standoffish clique-y vibes Facebook seems to be reputed for. Everyone I’ve met has been rather wonderful, including my interviewer! Another advantage is the lack of excessive selfies. The short answer: Daddy said no. Gill: What was your reaction? How do you normally react when your parents say “no” to something you’d like to have or do? Hannah: I demand an explanation as to why first. Then I go through a period which is a fusion of begging and whining, and trying to find a compromise. This often works, but if it doesn’t, I give them a mock stroppy look and guilt them about the incident through half-sarcastic comments for about a week. That’s when I truly give up and drop it. You win some, you lose some. It’s easier for everyone if you can laugh about stuff like this and move on. Gill: Another cliche regarding teenagers is that they are constantly fighting with their family. How is your relationship with your parents? Hannah: I actually have a really good relationship with my parents — nothing like the cliché. We do argue occasionally, of course, but who doesn’t? I think I might have hit the angsty teen phase prematurely, because when I was ten we’d argue much more. A parent-child relationship is no different from a romantic relationship: if it’s going to work, it has to be based on mutual trust and respect. Gill: A lot of new parents are looking towards the time when their cute baby will be a teenager with fear. Do you think it’s justified? No, people, relax! We’re (hardly ever) as bad as the stereotype, and the few who are, well, you’re not the one raising them. I do think it really depends on the area you live in, though. If your area is really rough, be especially wary of peer pressure. It’s a strong motivator. Gill: Can you think of things one should never say to a teenager (as a parent or teacher, i.e. somebody they look up to)? 1. “Do you ever take your face out of that phone?” When was the last time sarcasm changed anything? Some subtler phrasing would be much appreciated. 2. “Because I said so.” Seriously? If you’re going to tell us no, at least give us a valid reason why. 3. “I’ve been alive longer than you have. I know best.” That’s quite possibly true, but again, explanation and communication. These clichéd excuses are irritating at best and patronising at worst. 5. “Did you really need to spend that long doing your hair, make-up etc. ?” Well, yes. Being in the artificial environment that school creates, being surrounded by so many of your peers, breeds insecurity. We know it’s not that important, really. But it takes much longer for things to register on an emotional level than it does on an intellectual one. It really got to me because of my personal experience as a teenager and because how it worked out between me and my parents: At some point I had to break off the contact, and we haven’t spoken in years. I think what many people do not realize is that while you have all the power over your children now, there’ll come a time when they will be free to make their own decisions. To call or not to call you. To visit or not to visit. They will have their own family, and you will need them more than they will need you. And it’s naive to think that anybody will be gladly maintaining a relationship with a “dictator”. Hannah: I agree with you 100%. You phrased it perfectly. A parent-child relationship is no different from a romantic relationship: if it’s going to work, it has to be based on mutual trust and respect. The reason teenagers are so misunderstood is because they are treated like children, but expected to act like adults. Gill: Can you think of some strategies to handle it differently and still have things under control? Basically, what should parents do so that their cute baby won’t become a “teen monster”? 1. Keep communication open and neutral. The root of most problems is misunderstanding. That is to say, don’t be accusatory in your tone. 2. Don’t “talk down” to us. I know it’s probably hard to un-see us as your innocent little baby, but we understand a lot more than you’d expect. Treat us as equals, and we’ll act like it. 3. Try not to be over-protective. We understand that you want us to be safe. Sometimes there’s a good reason to say “no”. But if you never give us a chance, how will you know whether you can trust us? Without a leap of faith, how do you ever expect to fly? 5. Reserve time for family stuff, but be flexible about it. Maybe Sunday is your family day, but that’s the only day Steve and his friends are free to see that stupid sci-fi robot film at the cinema. So swap it to Saturday that week. Be adamant about including the family time somewhere, though. And take turns choosing the venue. Gill: If you could change one thing in the behavior of the adults towards teenagers what would it be and why? Hannah: Good question. I saw something once that said the reason teenagers are so misunderstood is because they are treated like children, but expected to act like adults. I do think that the stereotypical representation of the lazy, sleep-all-day party-all-night teenager has contributed, albeit subconsciously, to our underestimation. So I would say, speak to us as equals, because many of us do understand a lot. I had a conversation about politics with a teenage friend the other day. I watch the news, too. However, we obviously still need guidance. We don’t pretend to know everything, even if sometimes we pretend to know best. The strategy to find the work/life balance is to never let the things pile up. Gill: What’s the hardest thing in a life of a teenager? Hannah: I think that would be finding the work/life balance. And by “work” I mean “studying”. But doesn’t everybody struggle to find that? I think teenagers specifically, however, either work too hard or not hard enough. Dragging oneself out of bed at those ungodly hours dictated by the education environment is also a challenge. Gill: Do you think you’ve found your strategy to balance things out? Hannah: My strategy is just never to let things pile up. The sooner you get all your responsibilities over with, the sooner you can relax. Procrastination is your worst enemy. It’s funny: this is one of those things that everybody tells you but you don’t believe until you arrive at it yourself. Gill: How come you are fond of reading so much? Did your parents forbid you watching TV or playing computer games? Hannah: Funny story, actually: up until I was nine or ten, I wouldn’t read willingly. An ailment I blame on the terrible books they forced us to plough through in primary school. It was strange, because I’d love to be read to as a child, and the children’s library was my favorite place in town. My parents wouldn’t stop me from watching TV, but they would beg and beseech me to read. My spelling wasn’t fantastic when I was younger, and they – like everyone – used to preach that reading was the best way to fix that. One day, though, I stumbled on The Mediator by Meg Cabot, and shortly after that, The Old Willis Place by Mary Downing Hahn. Books geared at teens and preteens, about ghosts. My favorite thing. Those books showed me how amazing stories can be when you’re allowed to choose them yourself. I devoured books after that, some other old favorites worthy of mention being Ways to Live Forever by Sally Nichols, about a boy suffering from leukemia, and The Doomspell Trilogy, a thrilling fantasy. I had found my people. And the rest, as they say, is history. Now I sit on my bed, stroking their covers and hissing, “my precious” at passers-by. Gill: You call yourself a writer. Is it bad that I almost added “already”? I guess I’m not used to high-school students knowing who they are or want to be. Hannah: It is rare, I admit. But to be fair, I’ve “known” what I wanted to do since I was three. The trouble is it kept changing. I went through astronaut, doctor, singer/actress, dog breeder, lawyer, and only now have I settled on one that I feel really defines me. Being involved in the production of my precious books? Why didn’t it hit me sooner! Your parents love you. Times haven’t changed that much for them to not understand you. At least give them a chance. Gill: When did you decide that you want to be an editor and a writer? Hannah: That’s an interesting one, actually. I’ve always enjoyed creative writing, but — if this makes any sense — I didn’t realize I enjoyed it until I was about fourteen. I had all my career epiphanies at fourteen. It was then when I decided I wanted to write and edit. The former as a hobby and a thing to do while I’m looking after my children, because I do want a career and a family, too. The latter as a stable source of income. I finished my first novel at fifteen, and while I’ll probably never polish it to the point of publication, it was the proof I needed for myself that I’m dedicated enough to keep going with a project for over fifty thousand words. I hope to start the next one this summer. Gill: Have your parents ever read something you’ve written? If yes, what did they think of it? 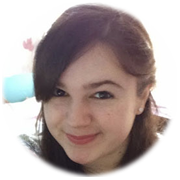 Hannah: They’ve read a couple of my blog posts (about which they laughed…a lot) and some of my shorter creative writing pieces for school, but not the full-length novel. Because no-one reads the full-length novel except my critique partner. For now, at least. Gill: Is it important for you that your parents approve of what you do in general? Hannah: It is very important to me that they approve of what I do. But it’s equally important to me that I approve of what I do. Luckily, those two have never come into conflict, and thanks to our values being very similar, I doubt they ever will. Either way, I’ve been blessed: my parents are two lovely, incredibly supportive people. There’s not much they wouldn’t support me doing. The “not much” being all the typically frowned-upon things, like drugs, pole dancing, smacking people upside the head with books… you get it. Gill: We already talked about what parents can do to improve their relationship with their teenager. But as there are always two sides involved in any relationship, do you have any tips for your fellow teenagers out there who don’t have a good relationship with their parents? Hannah: Just take a chill pill, guys. They love you. I know they’re old and un-tech-savvy and don’t know what Snapchat is, but times haven’t changed that much for them to not understand you. At least give them a chance. Gill: Well, I must tell you Hannah, this has been fun. Thank you very much! I think I can sleep more peaceful now. Last question: Do you want to become a “full grown adult” quicker or do you think that this is the best time? I remember I always wanted to get out of my “teen years” as fast as possible. Hannah: I’m deeply conflicted on this front, but I’d say for the most part I do want to grow up ASAP. I cannot wait for university, and right now, the siren call of publishing is begging me to join. That said, I pine for my childhood way back when, so a part of me knows it’ll most likely be the same for the teenage years. I will miss the variety of school, methinks. I won’t miss math though. Sorry, algebra. Previous post How to Keep Your Mind Healthy. A Story of One Calling. Next post 21 Blunt Questions for a Life Coach. A Story of One HeartWork. Like Hannah, I have a really good relationship with my parents, and our house is a democracy now that I am in my teens (when I was a younger child it was definitely a dictatorship). I think that the reason I am on good terms with my parents is because we communicate and trust each other to be open. For example, in our house, the screens, including my parents, all face outwards so everyone can see what other members of their family are doing. We don’t take the computers into our bedrooms, and that applies to my parents as well, and I have respect for them applying themselves to the same rule. I also grew up a lot quicker than many of my peers- I often argued with my parents when I was 10 / 11 / 12 rather than now. I am defiantly not what you would call a typical teen. When I was 13, my parents told me they would start treating me like an adult, basically I was to skip any teenage behaviour, and grow up. And, I did! I can’t tell you how much I appreciate your feedback! As you might have guessed I’m on a mission to collect as many tips and strategies as possible to keep a good relationship with my child when he becomes older. I absolutely love the strategy with the monitors! And the fact that your parents apply the same rules to themselves that they apply to you! I, too, believe that open communication and trust is the key to solving every problem, and the root of all problems if those too are lacking. Teenagers like you and Hannah give us worried parents hope. Can I just sum up my response here and say “Very true”? I agree that the main problem teens and parents run into is communication and understanding. Being a teenager is hard work, folks! It’s like suddenly all this information about the world and new feelings and changes got dumped on you and you have no idea what to do with it. I don’t know about everyone, but my first inclination was not to run to my parents and say, “Hey, let me tell you about all these confusing things I’m trying to figure out right now!” It was always so much easier to go to peers because we know they understand–they’re going through it, too. It’s so easy to believe parents won’t understand, that they’ve completely forgotten what it was like to be a teenager, etc. Also, it takes work on both sides of the equation, like you both said. It’s important to realize “I’ve been wrong here. Me. It doesn’t matter what they did, I have a responsibility for myself.” And that’s a hard thing to come to terms with sometimes. We don’t like to admit we were wrong. Thank you, Amanda! You’re definitely right about time being an issue. And I only have one sibling! Goodness knows what it must be like for you and your parents with seven. You are so right! Admitting you are wrong is one of the difficult thing to do, especially if the person who was wrong is a parent. Teens like you really do give us hope! After talking to Hannah and receiving the comments to the article, I realized that I was probably too much concentrated on the cliches, but it’s not at all that bad! Thanks again for taking the time to read and respond! Haha, yes! Having a big family is (usually–I’ll admit there’s been a few exceptions) really awesome. Lots of noise and laughter to go round! Hello Gill Andrews! A very informative and up-to-date information! As for me, I’ve been working as a teacher of English at school no.63 in Yekaterinburg, Russia. I face the problem of communicating with teens not as a parent (’cause I’m only 25 and haven’t got children yet) but as a teacher. The idea of your article personally for me is as follows – do not treat teens like little children (that means to be over-protective), but at the same time do not expect them to act like adults. Find a balance, be ready to explain everything without shouting and you will make friends with teens. Exactly, you summed it up great there! How old were the kids in your class? What was your experience of teaching? I hear the kids these days have become even more “difficult”. Your situation as a teacher is actually not easy, as your authority and the means you can influence a child are limited. I have great respect for teachers, whose job is by no means easy, and I’m a bit envious of the fact that they have a chance to leave an impact on a person’s life, to make a real difference. My motivation for this interview, however, was to figure out what one can do, as a parent, to have less problems with a child when he is a teen later. My own child is now almost 2 years old, and I see how everything that parents say and do, for the child or simply in his presence, is important. How it shapes his personality, habits, and affects the bond between a parent and a child.